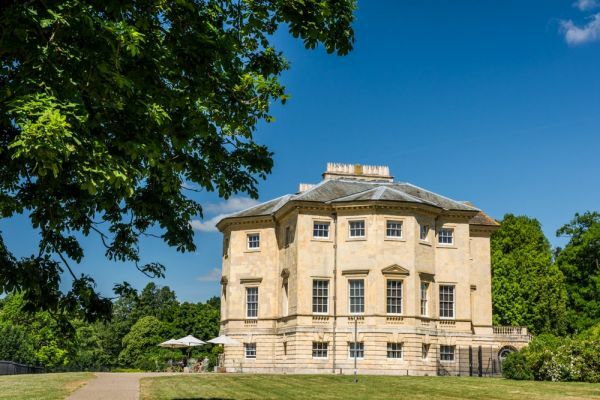 Danson House was built in 1766 by Sir Robert Taylor for Sir John Boyd, a wealthy merchant, with interiors designed by William Chambers. 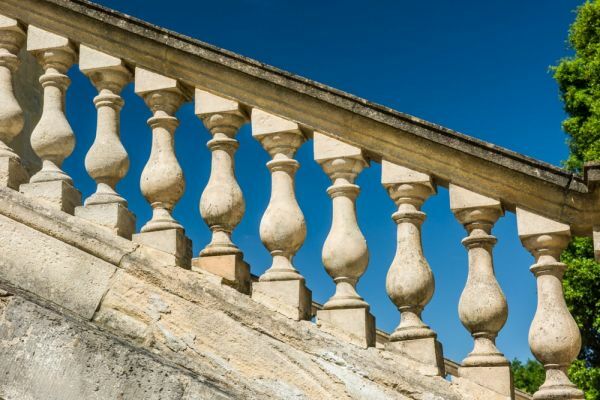 It is one of the best examples of Palladian architecture in the country. Sir John Boyd was a high-ranking official in the British East India Company, and he inherited money from his father, who owned sugar plantations in the West Indies. He lived with his wife Mary and their children in a townhouse near St James Palace, but he wanted a country estate to reflect his status. In 1753 Boyd rented the Danson estate from Mary Selwyn, widow of Colonel John Selwyn of Matson in Gloucestershire. Six years later in 1759 he took over the lease from Mrs Selwyn and purchased the surrounding land. The convoluted property ownership details meant that he had to pay 10 pounds yearly to a charity set up by a previous owner. This must have annoyed him, for within 3 years he offered the charity an annuity of 100 pounds in exchange for its half of the property freehold. This required an Act of Parliament, and in 1762 the Styleman Act was passed, giving Boyd sole ownership of the Danson estate. Over the next four decades Boyd purchased neighbouring properties until he had built up the estate to roughly 600 acres. To design his new home Boyd called in Robert Taylor, who had designed his London townhouse and was then working on the new Bank of England. He asked Taylor to create a neoclassical villa as a rural retreat from the bustle of London. Today Bexleyheath is part of the larger urban sprawl of London but in the mid-18th century it was a country idyll, close enough to London for business, but far enough away to be a comfortable country retreat. Boyd wanted a house that not only expressed his wealth, but also his taste, a place where he could entertain in style. Taylor had begun his career, not as an architect but as a sculptor. 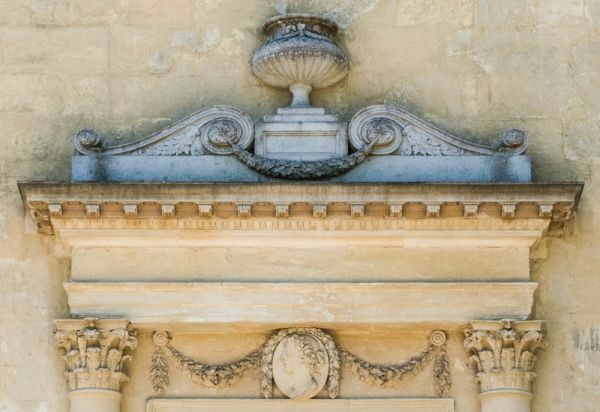 He had humble beginnings, born the son of a London stonemason, but he carried out commissions for a memorial sculpture in Westminster Abbey and the pediment of the Lord Mayor's Mansion House. Taylor eventually gave up his career as a sculptor and took up architecture, working on several stately homes. 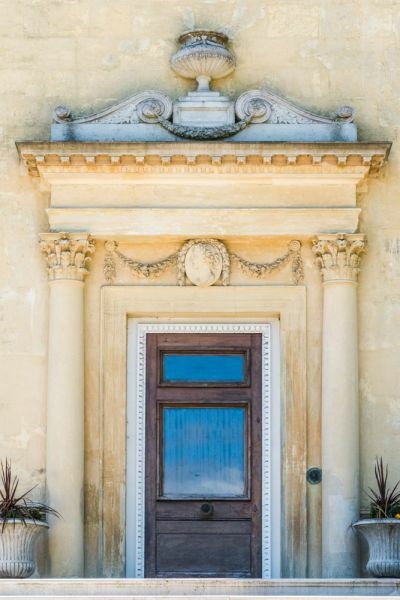 Together Boyd and Taylor created a monument to the golden age of classical antiquity, a villa filled with art and sculpture gathered on Boyd's extensive travels throughout Europe. The centrepiece of this glittering example of Palladian style was the octagonal salon, lined with gilded mirrors and decorated with hand-made wallpaper. The dining room is another highlight; with a series of 17 painted murals lining the walls. The new villa was dubbed Danson Hill, and it was built on a low rise of ground north of the earlier house. Work began in 1763 but long before the house was finished Boyd's wife Mary died, leaving Boyd with 5 young children. Boyd remarried three years later, to Catherine Chapone, a much younger woman, and the couple moved into Danson Hill in 1768. Most of the house was complete by 1773, with internal decoration by Sir William Chambers, a personal friend. The interiors included murals by some of the most fashionable artists of the day, such as Charles Pavillo and Richard Wilson. One of the paintings was a portrait of the Boyd family outside Danson House, possibly painted by Richard Wilson. The painting now hangs in the Great Hall of Hall Place, further east in Bexley. Throughout the interiors are symbols celebrating love and marriage, for it seems Sir John was besotted with his young second wife. One of the art objects displayed at Danson House was the Piranesi Vase (otherwise known as the Danson Vase), a magnificent 2nd century marble vase found at Hadrian's Villa at Tivoli. The vase is a pastiche of ancient classical carvings with satyrs around the base and three ornate legs holding aloft an urn with a frieze running around the bowl. The vase is now in the British Museum. Boyd's son tore down the kitchen and stable wings and had a new stable block built to a design by George Dance the Younger. The younger Boyd sold the estate in 1807, and it passed through several owners until it was acquired by Bexley Urban Council in 1924. The park was opened to the public in 1925, and the house itself was used by the military during WWII. 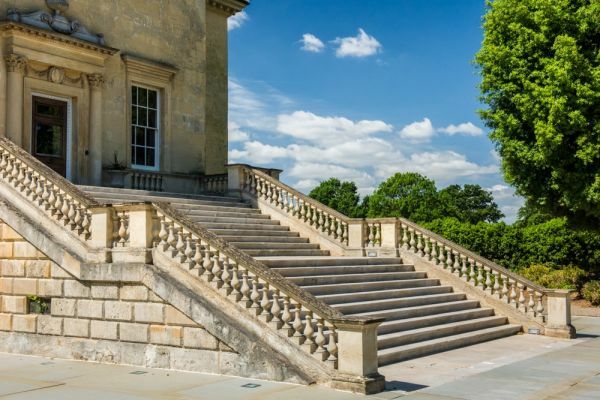 It was painstakingly restored by English Heritage from 1995 and opened to the public in 2005. 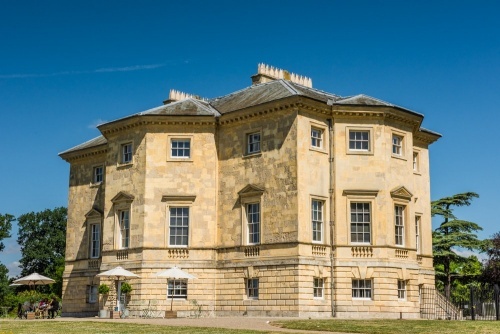 Danson House stands in a vast park, the largest public park in Bexley. The grounds and gardens were laid out from 1761 by Nathaniel Richmond, who learned his craft as an assistant to Capability Brown. 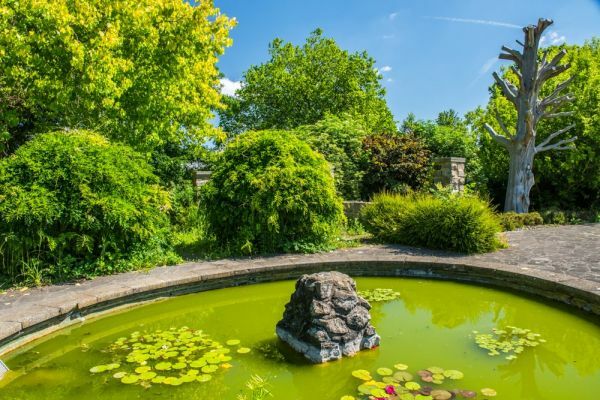 The centrepiece of the gardens is a 12-acre lake to the south of the house. 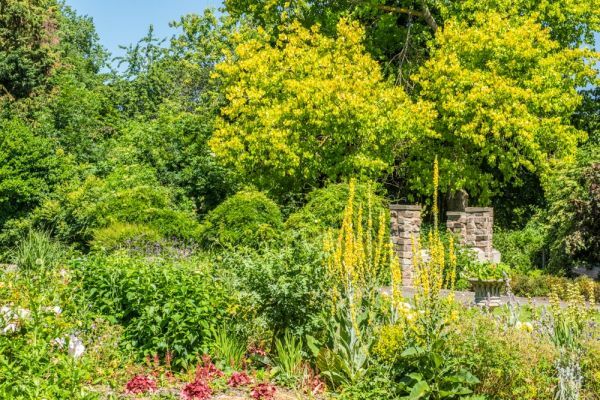 Immediately opposite the front of the house is a traditional Old English Garden, maintained by volunteers. 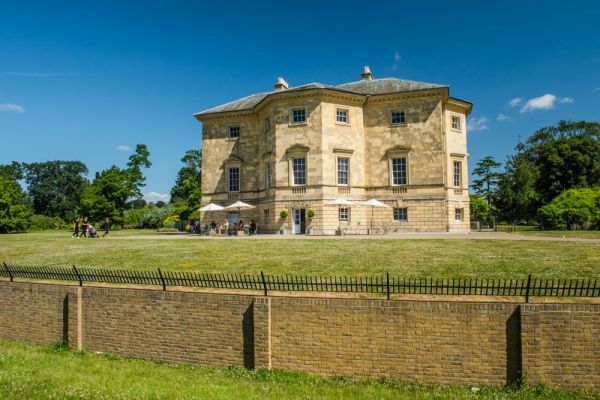 Danson House is just off the A2 and 6 miles from Junction 2 of the M25. The nearest rail stations are Bexleyheath and Welling, both a 20-minute walk away. We visited on a day trip from central London, taking in the neighbouring historic house of Red House as well as Danson House. There is a direct rail service from London Bridge station to Bexleyheath. Curiously, Red House is well signposted for pedestrians from Bexleyheath station but there are no signs whatsoever to Danson House. From the station, turn left onto Avenue Road and follow it 4 blocks to Crook Log Broadway (the A207). turn right and walk west for 4 blocks to Danson Road. The park entrance is directly across Danson Road at its junction with Park View Road. Just follow the pedestrian footpath diagonally through the park until you reach the house.